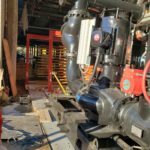 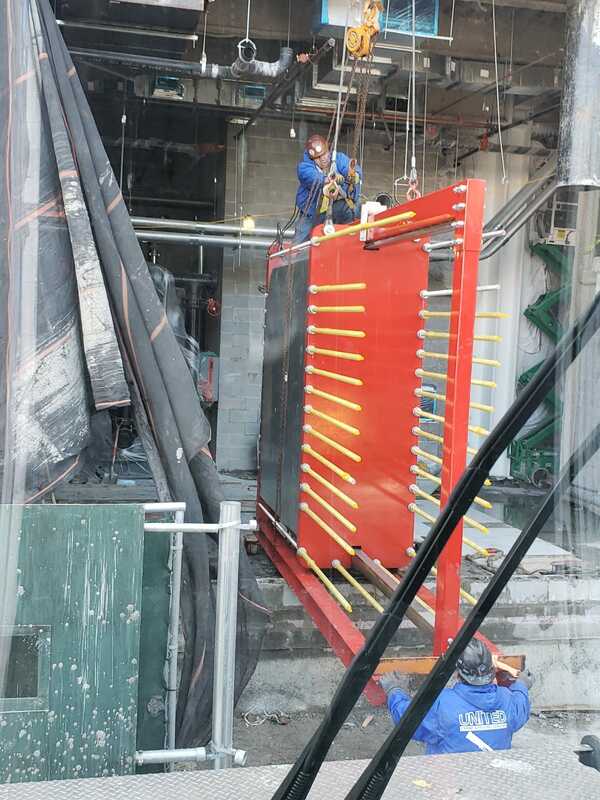 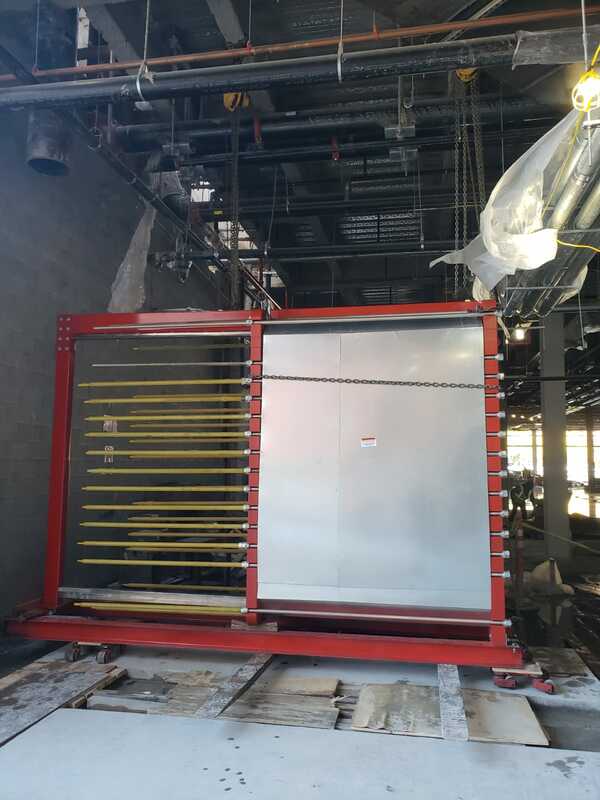 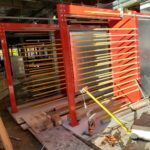 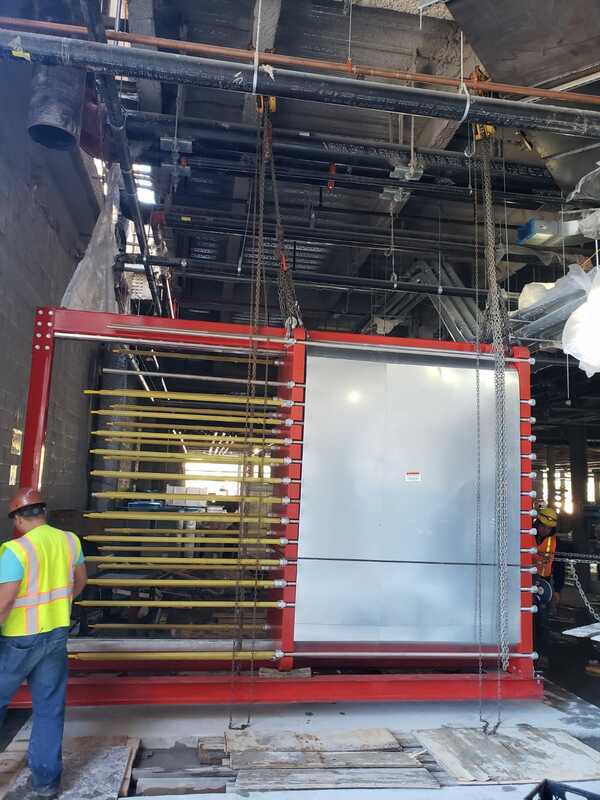 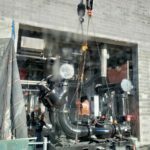 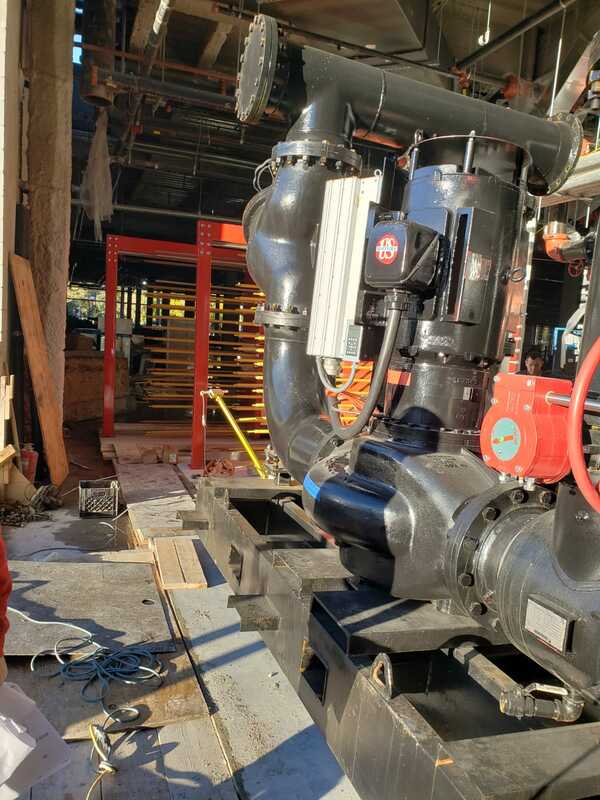 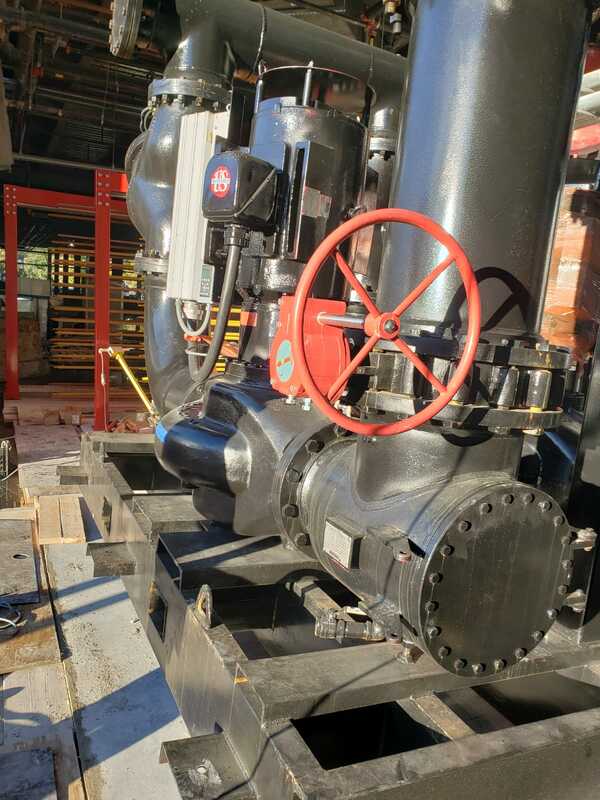 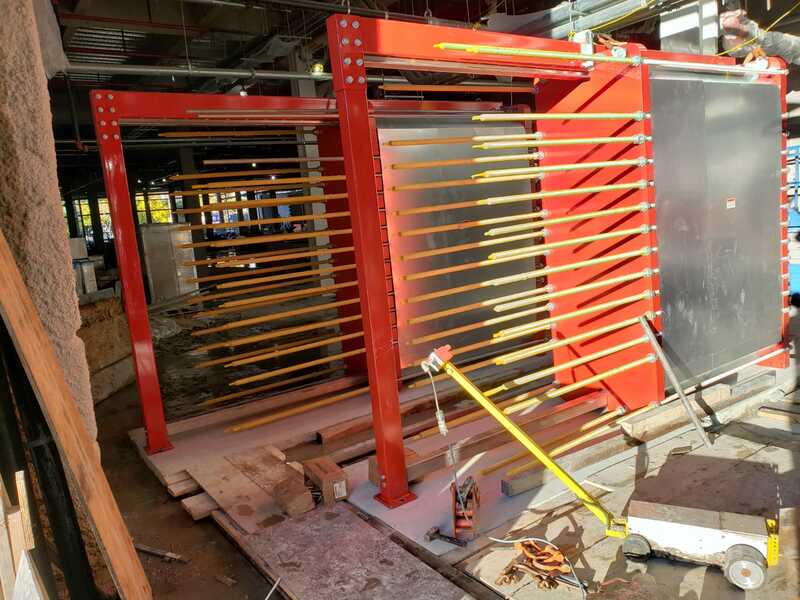 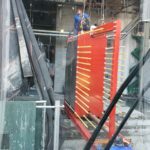 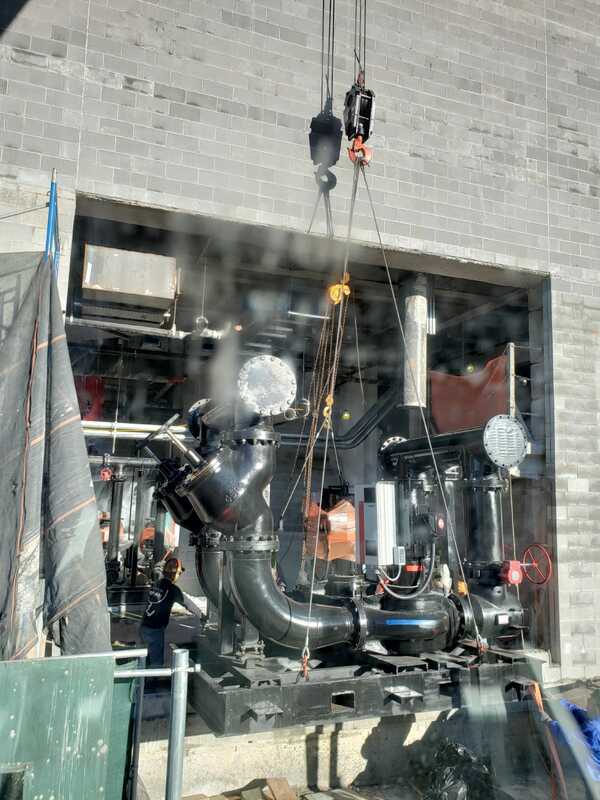 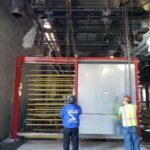 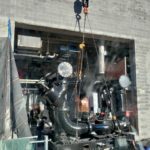 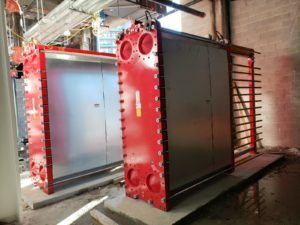 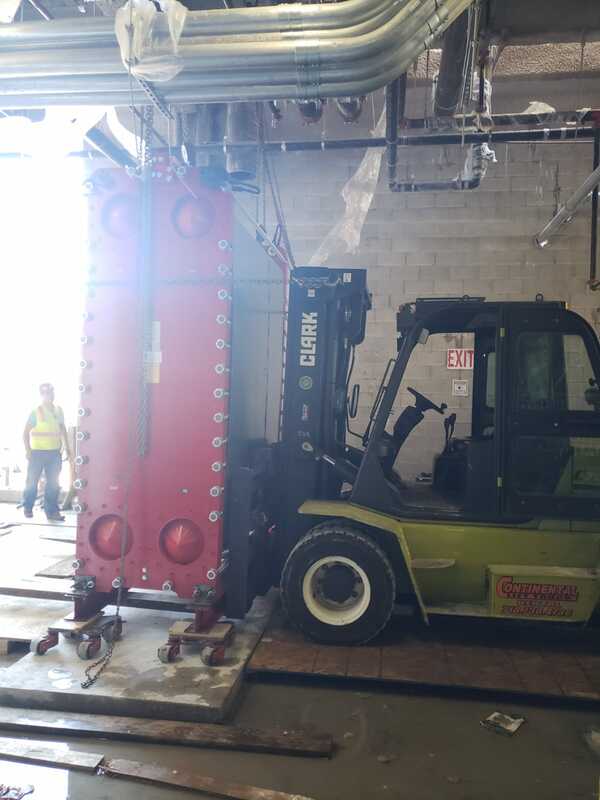 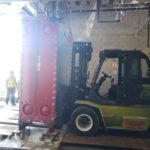 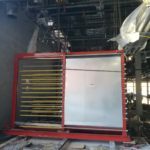 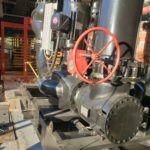 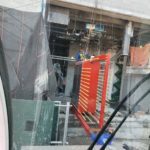 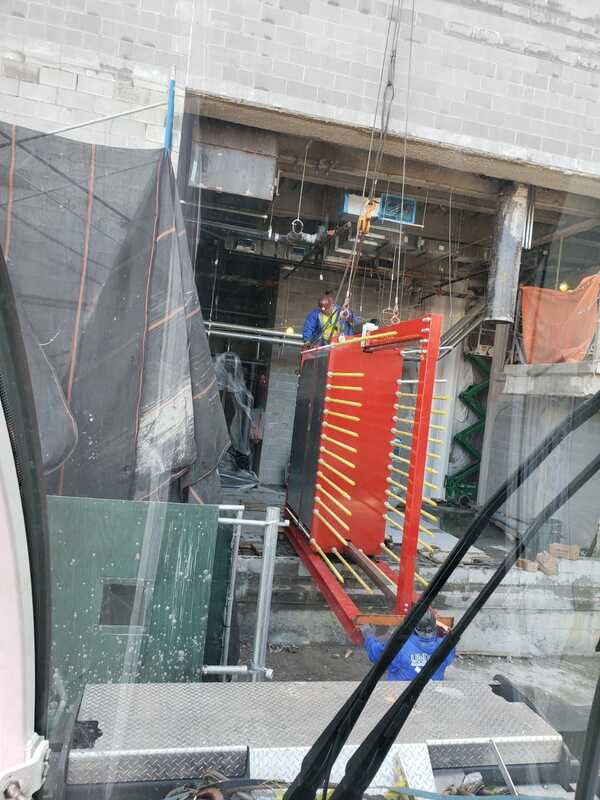 During a recent project in Brooklyn, we set up to rig two heat exchangers into the side of a building. 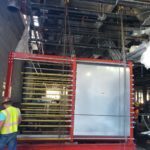 The units weighed 20,000 pounds each and one skid pump that weighed 27,000 pounds. 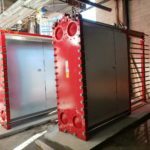 We also visited this same site earlier and hoisted cooling towers and boilers to the roof, then returned to rig the heat exchangers. 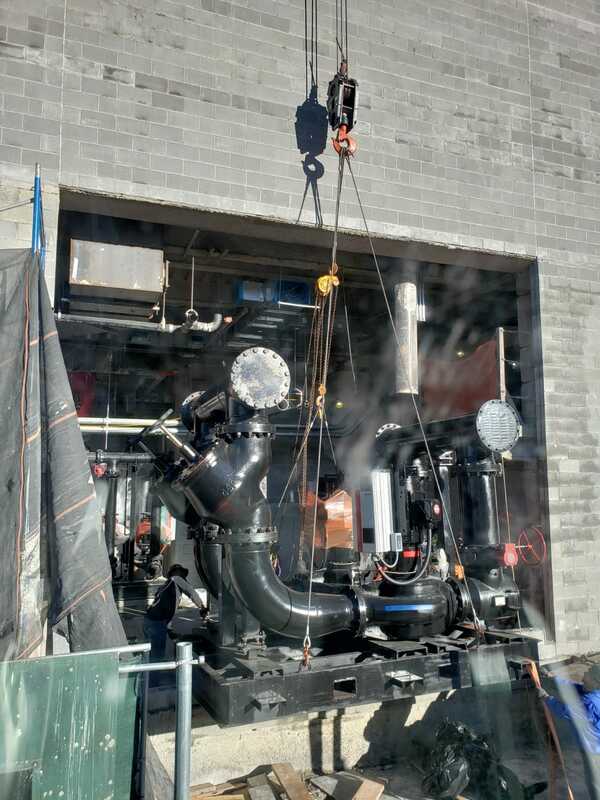 We received the exchangers at our shop, then reloaded onto low boy trailers and delivered them to the job site. 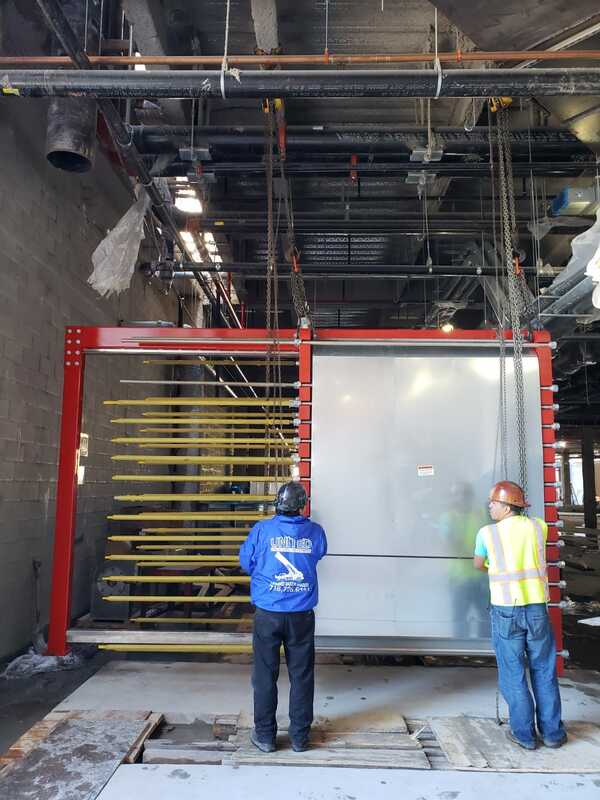 Using chain blocks and a gantry we rigged the units into place.